A SCUBA diving addict can be easily recognized as someone who daydreams about the sea most of the time. And who knows so much about marine life and random ocean facts. It’s also someone who will probably be so passionate about it that they will slowly but surely make you also fall in love with this unique world. And then you may realize that once we dive deep into that passion, there is no surfacing time anymore. If you are surrendered by one or many SCUBA divers you may have realized that scuba diving subjects take part of at least 50% of their conversation. They use their hands way too much when they talk, and they are most likely gonna go on a scuba diving adventure during their next trip. With Christmas coming up very fast, you are probably starting to brainstorm gift ideas, more specifically diving gift ideas scared that your SCUBA diving addict friend-boy/girlfriend-sibling-parent, would reject anything else. The problem is, you’re not a diver so you don’t know what a diver would like to receive as a gift? Or you are a diver but still; struggling to know what to buy for another fellow diver because you are running out of ideas. Or maybe you are thinking that everything related to diving may be too expensive for you? (because you know way too well that diving is an expensive hobby)! But this is a misconception!! 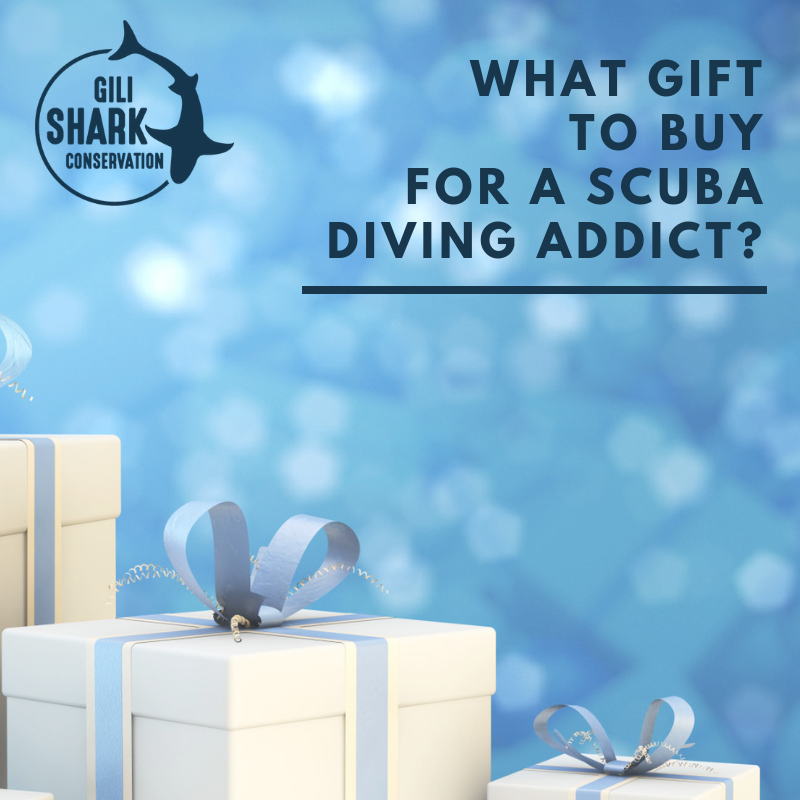 We’ve got a bunch of ideas for you, to suit all tastes and budgets, so you can find the perfect gift for the scuba diving addict or addicts in your life! Because every diver dreams of ticking the box of every single top diving location this world has to offer. 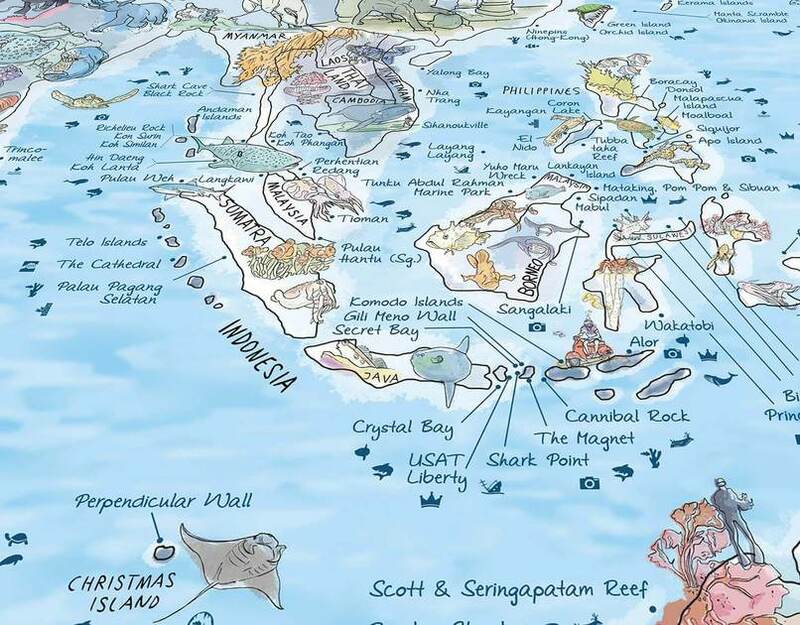 Help them to visualize how close they’ve become to achieving that dream by buying them the diving travel map. Your diving addict is always researching and / or daydreaming about their next diving trip. Spark their imagination further by offering them a beautiful calendar featuring underwater images of all the amazing marine life they’re craving to see. Also, the perfect tool to count the days before their next trip! Because the earth is 71% covered by water, it is impossible to know everything about the ocean and it’s mysterious world. So, go on a little hunt to find the perfect new documentary they haven’t seen yet! They will thank you forever (and also probably ask you to watch it with them)! Perhaps add some movie snacks to your gift for an extra treat! Nothing is better than carrying your passion with you at any time and everywhere. Offer your friend a personalized phone case showcasing his favorite fish or underwater world. You can also probably get a custom one with their best photography! In this section you won’t only find a gift that’s good for the environment but at the same time you will also be supporting marine conservation projects. Not just a gift for your scuba addict, but also for the planet! It is now possible to wear your love for the ocean! Make a donation of $20 to 4Ocean organization and in exchange receive a 4ocean bracelet. Every bracelet sells will remove 1 pound of trash from the ocean. The bracelet itself is made from 100% recycled materials – the beads from glass bottles, and the cord from plastic water bottles. 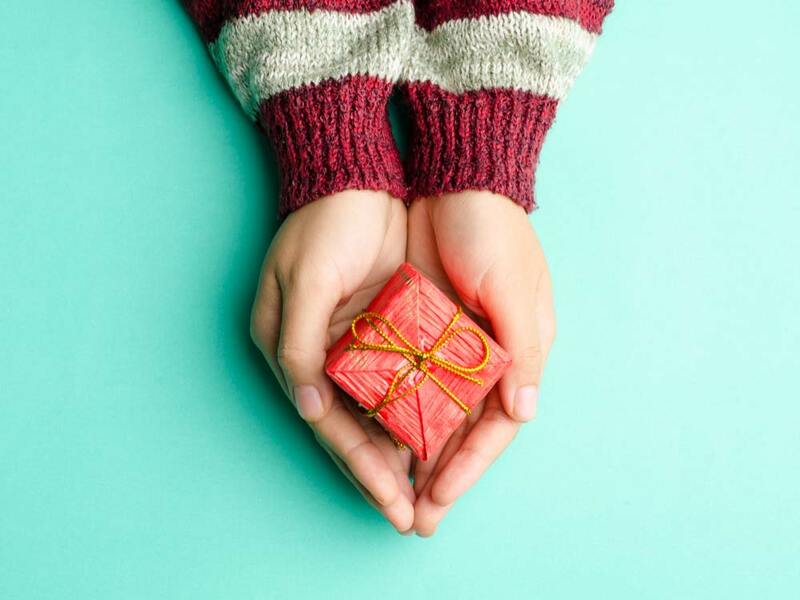 A gift that makes a little difference and little by little a little becomes a lot! 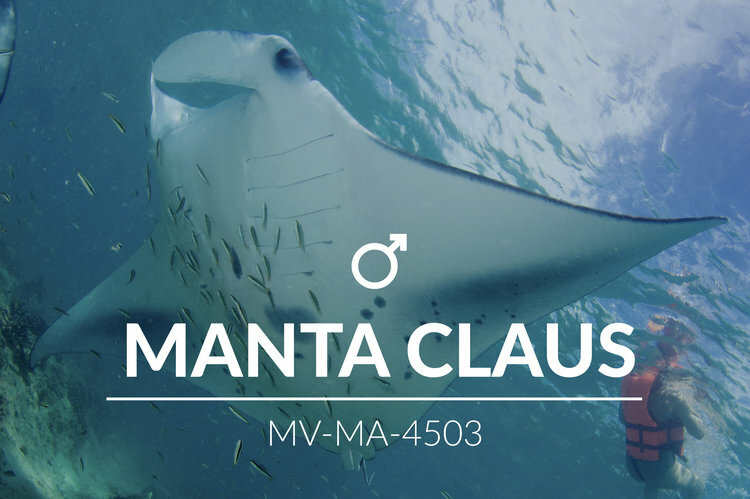 You know all scuba divers are crazy about big fish… particularly about manta rays?? Who isn’t! You can adopt a manta for your scuba diving addict and they’ll receive updates and a special package, whilst supporting global efforts to support vital research and help protect them. No diver can even have enough swimming clothes! Make a difference by buying a swimsuit or rash guard made from recycled fishing nets or other recycled materials. Have a look at some of these companies and support this amazing movement! 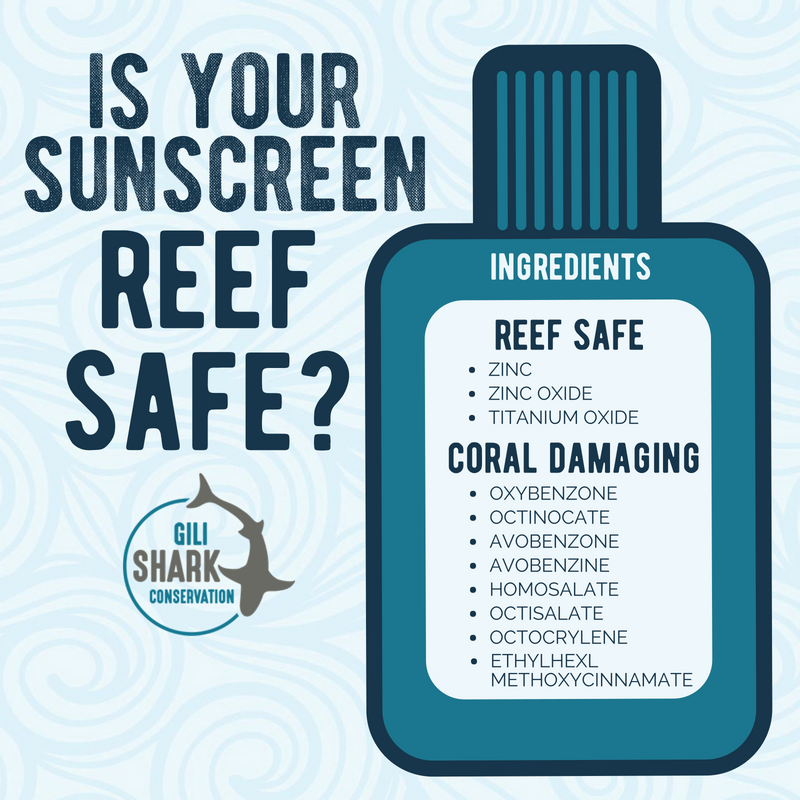 Sunscreen is one the most threatening chemical for the oceans, damaging our reefs significantly. Nobody wants to be the one who pollutes our beautiful waters everytime he or she enters. Luckily, a high number of eco-friendly sunscreens can now be found on the market. Have a look and make sure the one you buy doesn’t contain any of these ingredients: oxybenzone, octanoate, avobenzone, avobenzone, homosalate, octisalate, octocrylene, Ethylhexyl Methoxycinnamate. Staying hydrated is among the top priorities when diving. With more and more refilling stations available in dive centres around the world, there is no reason to buy a single use plastic bottle anymore. Stay hydrated at all times and save on plastic. Available in a variety of sizes, colours and patterns, we are 100% certain you will be able to find the perfect one for your scuba diver! The simple, inexpensive but super practical gift for the scuba diver in your life! Nothing is more annoying than getting our hair stuck around your mask strap after every single dive! 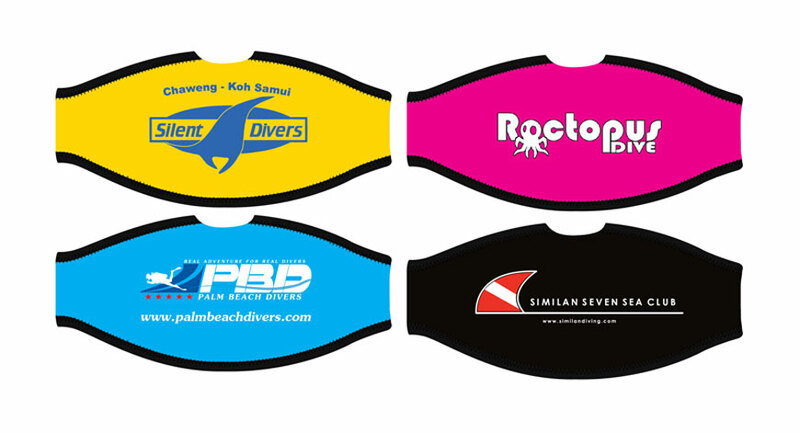 Do your scuba diving addict a favor and get them a neoprene strap cover. We assure you it will enhance their diving experience! Available in a variety of colors and designs, you’ll find the perfect one to suit their personality! Another accessory that is quite handy is a pair of neoprene fin socks. 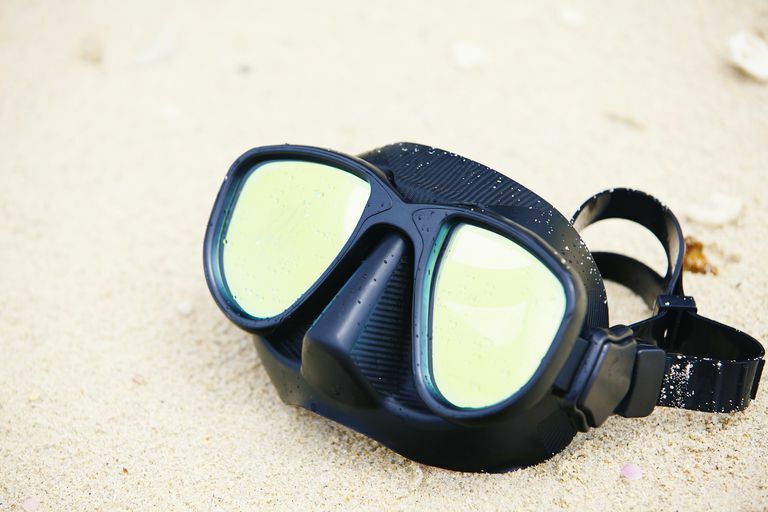 Firstly, because it helps to keep a divers toes warm and second because it makes it much more comfortable in those full foot fins and walking around before and after the dive, offering protection against heat on the ground, and coral fragments on the beach. These are always useful for any diver! Whether to help look after accessories or a camera or offering extra protection for their diving computer, E-V-E-R-Y single diver need some. If the person you are looking to give a gift to has long hair, they are most likely going to enjoy a quick-drying swim hairband. Keeping the hair out of the way and making sure it won’t tangle around the mask strap. Finally, another simple but practical gift for someone desiring to satisfy their curiosity about the oceans and the origin of scuba diving would be to offer a scuba diving related book. Neutral Buoyancy is classified as a must read! The useful and more personalized gift for a scuba diver! Choose the perfect size and the perfect color to match their taste and needs! Because it’s always wonderful to come back from a dive to a dry towel or to be able to bring your camera and other valuables but keep them safe and dry after capturing memories for life. Found out where your Scuba diving addict like to do their diving trip or find out what they see after their diving and get them the ideal Fish or Coral I.D. Book. We assure you, they will never get enough of it. Your diver friend loves to spend hours showing you all their pictures and footages from their latest trip. Make your life more enjoyable during this time by looking at all these images with proper colors rather than only in green and blue. Get them a red filter for their GoPro or camera, according to the colour of the water where they do most of their diving! Just make sure it fits the type of camera they’re using! You may think it is not really something you would want to receive as it doesn’t look as appealing as the other ideas. You are mistaken, a raincoat is a divers best friend when out for the day diving! Even if it’s dry it will help to protect them from the wind and the sun, as well as helping them to warm up quickly after a dive! Rainy it will help keep them dry and warm. Plus, it is super compact so takes up no space at all in their luggage when travelling! Because communicating underwater if not always evident! A metal stick when used correctly (meaning without abuse), is the perfect tool to communicate with others. Also to point out difficult to spot critters without getting too close and scaring them. Either to not miss out on this lovely underwater creature you just encountered or to get the dive guide attention in case of a problem. When used properly a metal pointer stick is a must! The must haves! The essential for every diver! A surface marker buoy, also well known as SMB, is essential for every dive. If you ever have to come back to the surface because you got separated from the group or in case of any problem, an SMB may be life-saving. When deployed, boats will see that someone is surfacing and keep their distance, additionally they can spot you easily or you can use it to get attention once you’ve surfaced. Safety first! Better be safe than sorry! These are all common sayings from divers and is why everybody who dives should have their own diving insurance. You can’t go wrong with a subscription to the Diver’s Alert Network (DAN) a trusted organization that provide insurance and medical evacuation assistance to their members. Different plans are available to suit all divers. Even if very rare, diving accidents do happen and everyone should be covered in case of emergency. There’s nothing more frustrating than having to dive with a mask that doesn’t perfectly fit your face. Having your own mask would prevent this frustration. So if your friend doesn’t already have their own, it is a nice small and adorable item you can treat them with! Very essential but a little on the pricey end, a dive computer would make any diver very grateful! 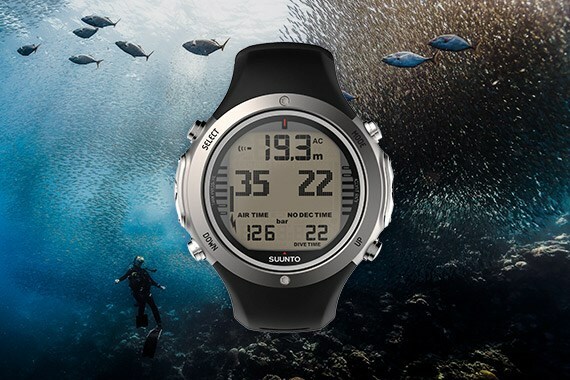 With many styles, functions and a wide range of prices you will be able to find one that suits the diving addict you are buying for. Offer your diving addict the opportunity to record their underwater adventures by buying them an action camera! GoPro or Paralenz or others, there are many affordable options on the market now! Does the scuba diver in your life already have an action camera? Well how about treating them to an upgrade for their underwater photography with in a proper camera and underwater housing. Have a look at the Olympus Tough GT-5 a favourite for quality and price for both macro and standard photography. Is your diving addictis dying to enhance their diving skills and knowledge? Maybe it’s time to offer them his next level diving course, or offering one of the many diving specialities! A conservation course about a subject they personally cares about would also be amazing and they’ll thank you forever! Our last idea but definitely the ultimate gift among the list of ultimate gifts. Offer the SCUBA diver in your life a diving trip somewhere! 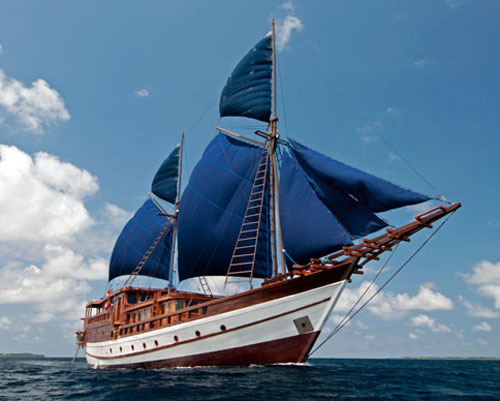 Perhaps just a day, a weekend, a week or even a live-aboard somewhere. This is most likely going to guarantee you some tears of joy from the recipient! What about giving the gift of becoming a shark warrior? Everybody can be part of our research team, and help to support marine conservation through scientific research and the local community by creating a plastic free paradise. It may be life changing for your SCUBA diving addict! We hope you’ve been inspired and can now find that perfect gift for your SCUBA diving addict friend, sibling, partner or relative! We know that Christmas can be overwhelming and you want to get your loved ones the best possible gifts! If you are a SCUBA diver yourself we hope that you will also remember to treat yourself this year too! Or share this with your family and friends to help them out this Christmas! We wish all of you a wonderful Xmas surrounded by good company, food, love, and laughter!